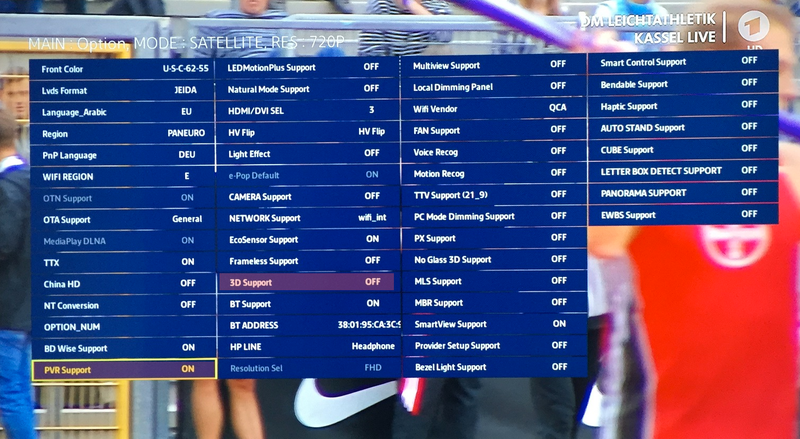 How to enable PVR and 3D for J series Samsung SmartTV 1. Press INFO-MENU-MUTE-POWER from power off state tv. 1. Press INFO-MENU-MUTE-POWER from power off state tv. 2. Press button 3xSpeed on service remote control. 3. Select and enter in MRT OPTION. 4. Set PVR Support ON state. 5. Set 3D Support ON state. 6. Back to first screen menu. 8. Now you be able to connect usb drive and use new options PVR.